I am very proud to present this recipe. In search of delicious flavors and healthier meals for my family, I made this recipe is not only delicious but also low in calories. As impressive as it may seem only has 180 calories per serving and the secret is to use not starchy vegetable. So enjoy a good plate of this delicious and healthy stew. Spray a hot pan with cooking spray, place the onion, garlic and tomato can, let it begin to boil and add remaining ingredients. Let it cook for 15 minutes or until carrot is tender. Serve immediately and accompany this stew with 2 tablespoons of white rice. A can of tomato contains 40 calories and 0 fat. The spicy homemade sauce contains 10 calories per 2 tablespoons and 0 fat. You must use the cooking spray when cooking rice. 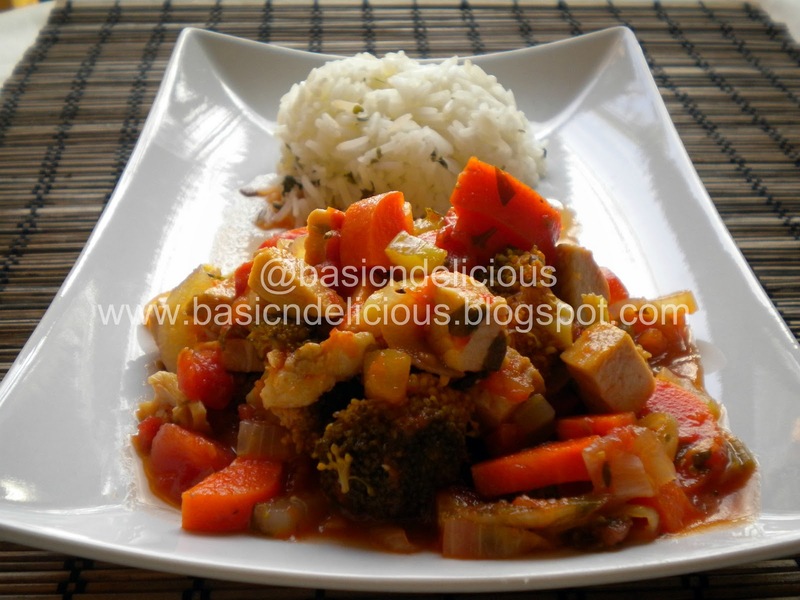 This entry was posted in Uncategorized and tagged chicken, stew, vegetable by Kathia Rodriguez. Bookmark the permalink.